Wouldn’t it be great if there were someone out there dedicated to making your life easier? 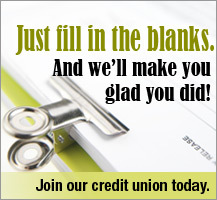 At Consumers Cooperative FCU, we’re here to do just that. Our services go beyond accounts and loans to give you the convenience you need.